Badbeat.com invites online poker players to experience 'MyGame', their new poker training tools now available free to anyone. At the end of the summer, they're hosting an invitation-only $5000 freeroll tournament for the players with the best Report Cards. Badbeat.com’s unique training system includes a poker hands analysis tool that monitors play and suggests ways to improve. Once a player has played at least 500 cash games they receive a score card that grades them in various aspects of play. In this summer’s What’s Your Score? competition, top scoring players will be invited to participate in a special $5000 freeroll tournament. To obtain a score and qualify for the freeroll, players must have signed up and played 500 real money cash games at one of Badbeat.com’s partner sites: PokerTime, Royal Vegas Poker, Red Hot Poker, Betsafe, PartyPoker, Poker Encore, TGF Poker, Betfair, PokerStars or Mansion. At the end of August, players with the highest scores will be invited to play in the $5000 freeroll tournament to be held in September. 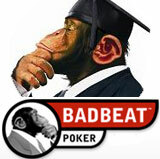 Badbeat.com is a thought leader in the online poker industry. It is the world’s leading poker staking site and their new MyGame training tools were developed with the poker team that guides, trains and develops their sponsored players. MyGame is the best online poker training anywhere and it’s completely free. It builds players’ poker skills from the ground up using a unique "Play and Fix" approach. The system analyses actual game play, spots weaknesses and shows how to fix them. Badbeat.com stakes many professional players, providing financial backing, mentoring and guidance to help them develop their game without risking their own finances. Badbeat.com sponsored players receive cutting-edge software tools and a structured development path with advanced learning aides, coupled with the knowledge, expertise and support from a pool of world class mentors and support staff. With the new MyGame online poker training facilities, many more poker players will benefit from their experience and advice.